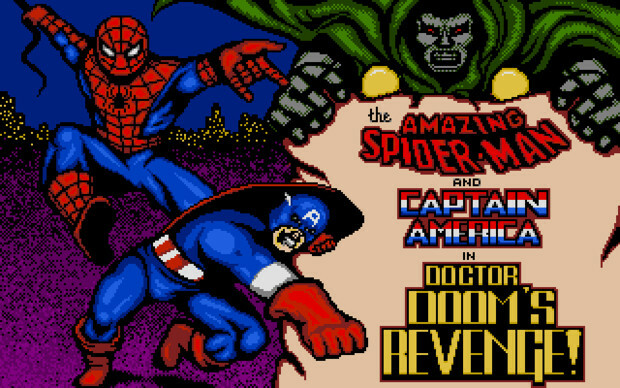 Community Blog by manasteel88 // Comics in Crossover Games: Spider-man and Captain America in Dr. Doom's Revenge! 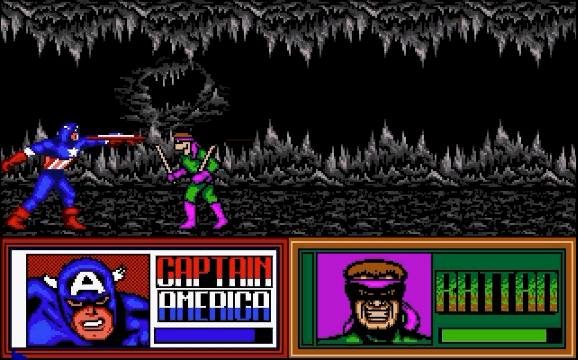 Comics in Crossover Games: Spider-man and Captain America in Dr. Doom's Revenge! Spider-man was finally starting to mature by the 1980s. During this time we experienced the entrance of Mary Jane Watson as a true love interest for Spidey, Todd McFarlane started applying his iconic style to the character, and the Black Suit was boosting the sales of the book. Meanwhile, Captain America readers were experiencing some of the finest writing the character has experienced with Mark Gruenwald and John Byrne. It was a great time to be reading these comic books as a kid in America. In Europe, Batman had paved the way for these comic based video games with 2 stellar titles. While Marvel appeared first on the systems with their three Questprobe text adventures, they were really only moderately received. GO! 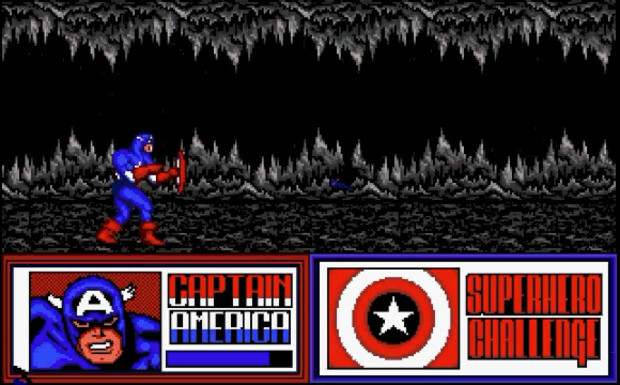 seeing the success of games like Batman and other platformers decided to publish Captain America in: the Doom Tube of Megalomann. It was met with middling reviews. Paragon wanting to prove that long names equal quality, created The Amazing Spider-man and Captain America in Doctor Doom's Revenge! for nearly every computer system the game could be ported to. Doctor Doom's Revenge was billed as the world's first interactive comic book. It was then packaged with a promotional comic book to set up the back story and flesh out the story more. Paragon was smartly trying to attack the booming collector's market. They boldly proclaimed that this book was destined to be a collector's item. It's safe to say that it has failed to live up to those expectations. This happened for a number of reasons. While the comic in a game premise was interesting in concept, the actual game does nothing to impress. By presenting a panel by panel interaction, the storyline became too unfocused. Instead of weaving a series of exposition in to the story, it devolves in to a quick one liner in a panel followed by the enemy appearing. A fight ensues and we are once again given a one liner followed by an attack on our heroes. This series of events is repeated until the end of the game. The story that comes out in the game revolves around Dr. Doom's theft of a nuclear device. 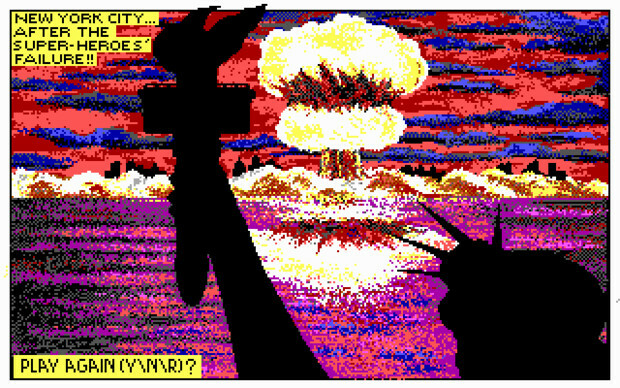 Targeting New York City, Doom has used this threat in an attempt to fold the United States under Latverian rule. He has assembled the who's who of villains for his Doom Brigade as an attempt to stop any meddling counter strikes. Captain America and Spider-man must separately battle through Batroc the Leaper, Machete, a gorilla, Boomerang and many others in their attempts to stop the tyrant dictator. When Doctor Doom's Revenge was released, it could have been argued as nothing more than a mediocre game. Time however has not been kind to it. If there was anything I could compare it to, it would have to be the original Street Fighter that had been released a year prior on these systems. However, it doesn't quite have the strength in gameplay that the first Street Fighter had. This is especially true once you learn that the life gauge of both heroes does not refill after each battle. 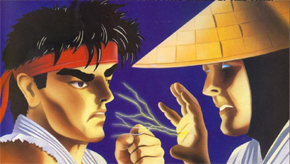 The original Street Fighter is archaic by today's standards. Fighting games quickly evolved past it. Doctor Doom's Revenge goes further than that. 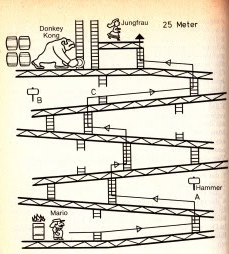 The controls are so stiff, you can hand count the animations in many of the movements. Simply, it showcases how monotonous the fighting truly is. It's difficulty is tied entirely to accommodating the fighter animation. The only redeeming factor is that the bosses pose a challenge because you need to use different strategies to defeat them. The first stage's Robot is easily dispersed by long range attacks that counter his laser, however the following battle with the Rhino needs to be played in close to stop his charge. There is indeed some strategy to be implemented in how you plan attacks. This is defined by the three different types of attacks that go with the three different distances in the game. Comically enough, the 9 varieties of attacks all have fun names like "Destructive Mighty Shield Hurl" and "Black Widow Tomahawk Kick." The main strategy however winds up in wanting to get in the middle of your opponent. Since the characters freely move the stage to attack you, you are always looking to move in to that sweet spot that they can't attack and are moving forward in to your punch. Since most of the Doom Brigade happens to jump on top of you and never move away, this solution works out best. After successfully defeating the bosses, you will be rewarded with a Super Hero Challenge. Like Street Fighter's bonus rounds, these acted to change the gameplay up a bit for players. These challenges do vary across the many different ports. 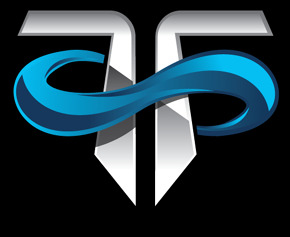 The reason for this was because while Paragon initially created the game, their publisher Empire optioned the software out to other developers for other computers. It was an understandable move as they left developers that were more knowledgeable with the systems to really handle all the grunt work of ensuring the games ran well. While I may prefer the Amiga version, the DOS or Commodore 64 version offered slightly different gameplay. Across the board however, the challenges themselves were the most drastically different. The Amiga version is run like a simple dodge the bullet scenario. Fire, bats or other objects would fly in from the right side of the screen and you would have to jump or roll under the attacks in constant succession. The Commodore and DOS version forced you to jump over a grounded rolling fire that would navigate back and forth around the screen. This small rolling flame truly failed to evoke the terror that Captain America was facing. 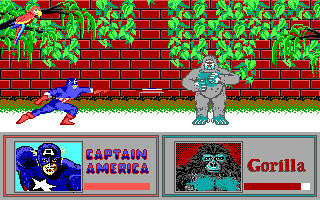 Easily, the Amiga version was the least tedious in terms of the Super Hero Challenge. Well, unless you count the fact that the Spectrum didn't even have any of these challenges. 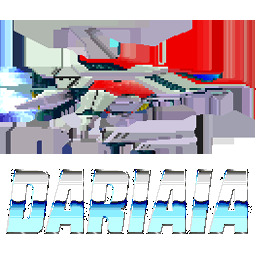 However, the Amiga version has one glaring annoyance. One of the final Super Hero Challenges involves dark blue bats flying against black backgrounds. 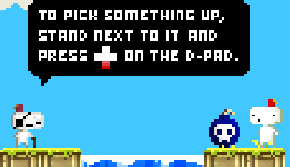 It feels cheap to tack that sort of challenge on to the end of the game considering how these life bars are handled. Doctor Doom's Revenge is a bit of a mess that was stripped and spread apart. As a crossover game, the crossover is non-existent. 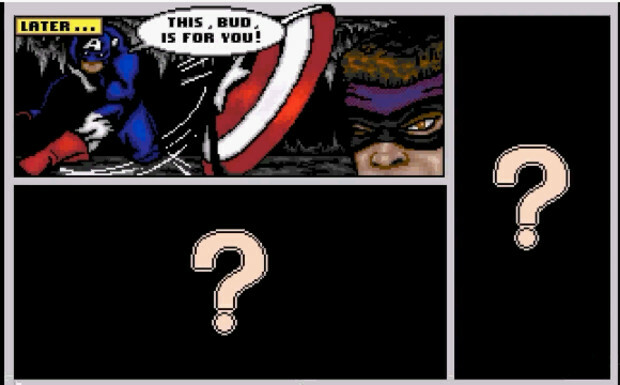 Neither of the characters actually come together at any point except for the final panel of the game. Paragon could have easily split this in to two separate campaigns with no loss to the game. Instead, we are forced in to one needlessly dragged out affair. An addition to the game that truly personifies the pointlessness of some design elements is a brand new exclusive villain. Rattan as a character leaves absolutely no impression on the player. He is just one of the many roadblocks in between you and the rest of the game. Paragon however fully fleshed this character out with a defined background. Rattan has an actual back story with a birth place and everything. Bud Cable was a former CIA operative imprisoned on false charges of murdering his partner and defecting to the Soviet Union. He had escaped his captors and turned to freelance mercenary work as Rattan. He is quite known for his "Noggin Knocker" Stick Bash attack. 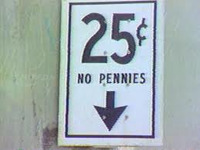 If this seemed like useless knowledge to you, then you aren't alone. Paragon used Marvel to create the comic, the characters and the plot only to squander it on the game. "This, Bud is for You" is the only story Rattan has in the game. Simply, there is no personality in the virtual comic book "pages." The villains all have an extremely limited arsenal of moves to define them against each other. In an attempt to create more and more villains, they spent too much time on design and it hurts the players interest in them as opponents. Half the cast is arguably irrelevant even for the time they were written. 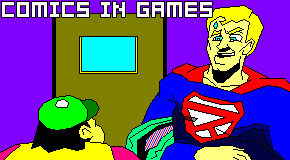 Gaming's first attempt at creating an interactive comic book was a failure. Long load times, bad design decisions, terrible audio and a poorly plotted narrative turned what should have been the first step forward for comics in gaming in to a poorly realized dream. The game is stiff, tricky and at its worst, tedious. It was a play on collector's that failed. Paragon undeterred would try three more times with Marvel properties, each with middling success. They were then shut down a few years after losing the Marvel license. 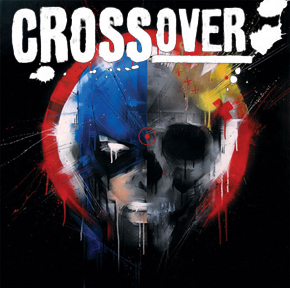 As the first comic book crossover, there essentially was no crossover. As an interactive comic, there wasn't any story telling elements that defines what a comic stands for. As a fighting game, it just couldn't compete. Doctor Doom's Revenge unfortunately did very little for both comic books and video games.